A publication of marlene4ever for our Club members, with previously unpublished photos. Very appreciate our guest authors could include with interesting topics in this project. Sauli Miettinen, the author researched archive in Berlin at the MDCB and in Amsterdam in the Norma Bosquet archive. The author hopes to find a German publisher who wants to publish this book in German language! 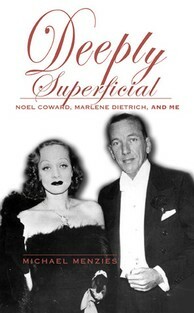 In this dazzling memoir that also serves as a dual biography of stage and film legends Noel Coward and Marlene Dietrich, producer Michael Menzies chronicles in hilarious detail his life-long obsession with the theater in general and these two international superstars in particular. Allowed to purchase any gift, as long as it was a book, Menzies was drawn immediately to the autobiography of actor/writer/composer Noel Coward, and was soon consumed by it. He identified hugely with Coward, so much so that he came to believe that he must be his love child. But with whom? Menzies worked out that his mother must be Marlene Dietrich, who happened to be among Coward’s inner circle. As Menzies writes, “the dates didn’t really fit but were close enough if one fudged a little”. The book follows Menzies’s decision to leave New Zealand and takes him on a voyage around the world to confront Coward and Dietrich and announce himself as their son. It’s not long before he realizes that this could not be so, but he continues his search for them – and their pasts, nonetheless. He finds echoes of their lives in London, Paris, New York, Berlin, Switzerland, Jamaica, all of which he recounts in this book. Deeply Superficial is a tribute to Menzies’s four parents: Clive and Mary Menzies, who guided his early years and allowed him the freedom to indulge his imagination ,and Coward and Dietrich who gave him the inspiration to “above all, behave exquisitely”, which remains potent in him to this day. What a joy this book is to read. It's an honest story reaffirming that love, true love, has no prejudice and often times will find us if we allow it. The heart-warming story of a man who invents a second identity for himself , as the child of Dietrich and Coward. It is an inspiring, poignant, entertaining memoir that satisfies the reader on many levels. 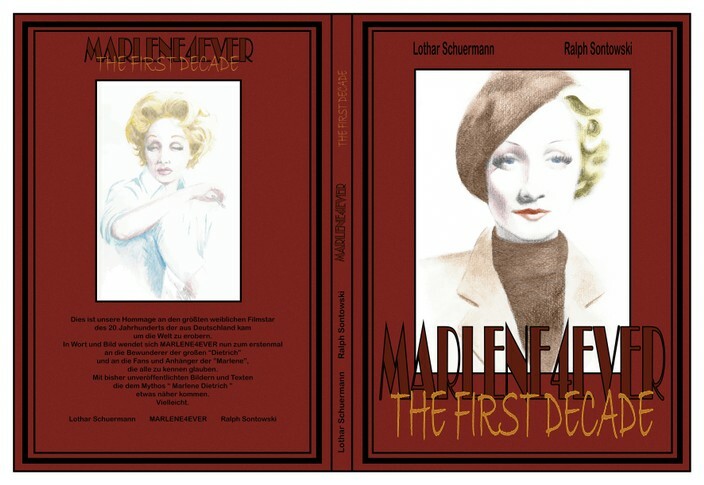 You can find here many biographical data of Marlene Dietrich and Noel Coward!